The Games Are On! | Kid Reporters' Notebook | Scholastic Inc.
Australian swimmer Jessica Hansen competes in the breaststroke. April 4 marks the beginning of the 2018 Commonwealth Games. Athletes from 71 teams will participate in the 11-day event on Australia’s Gold Coast. More than 6,500 athletes will compete in more than 15 sports, including swimming, weightlifting, basketball, and gymnastics. The Games have been taking place every four years since 1930, except during wartime. There are 53 members of the Commonwealth of Nations. The inter-governmental organization was formed in the mid-20th century, when many countries claimed independence from the British Empire. A total of 71 teams compete in the Games, with several territories sending teams under their own flags. For most of the competing countries, which include Australia, Canada, and the United Kingdom, Elizabeth II, the Queen of England, is their symbolic leader. Hansen looks at the scoreboard after a race. 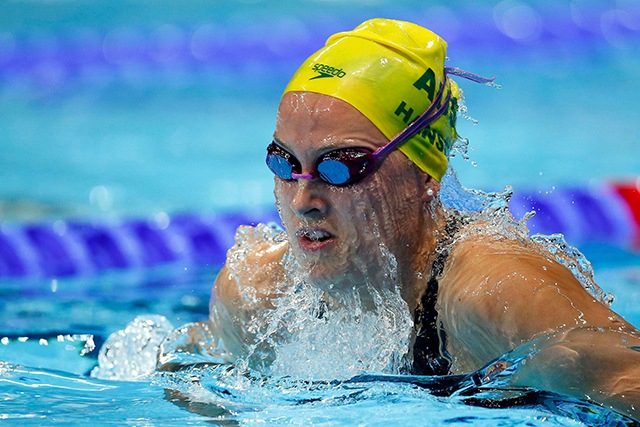 At the Games, Australian swimmer Jessica Hansen of Melbourne will be competing in the 50- and 100-meter breaststroke events. When Hansen was a child, her parents enrolled her in swimming lessons so that she would feel confident and safe in the water. At the age of 13, Hansen started swimming competitively in state and national competitions. She has been racing ever since. Will the swimmer win gold for Australia? Stay tuned.